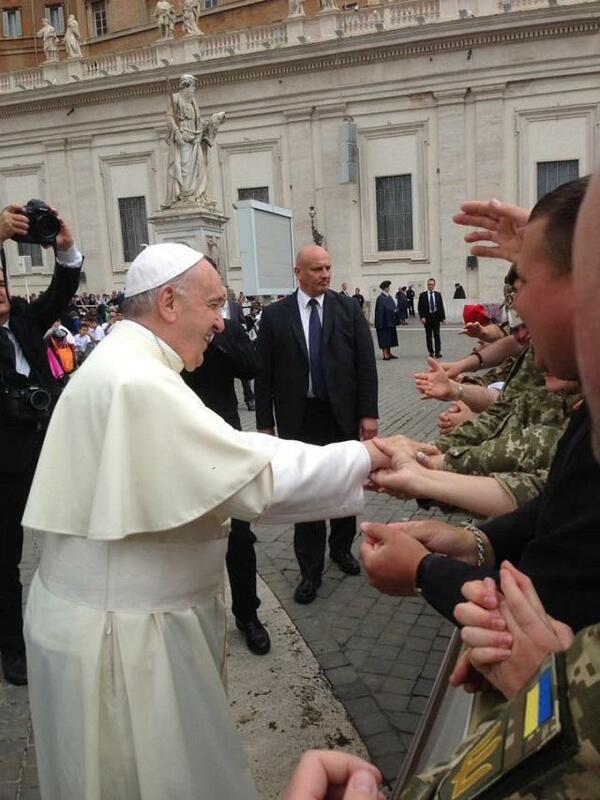 While greeting the Ukrainian soldiers, the Pope said he had tirelessly been praying for peace in Ukraine. 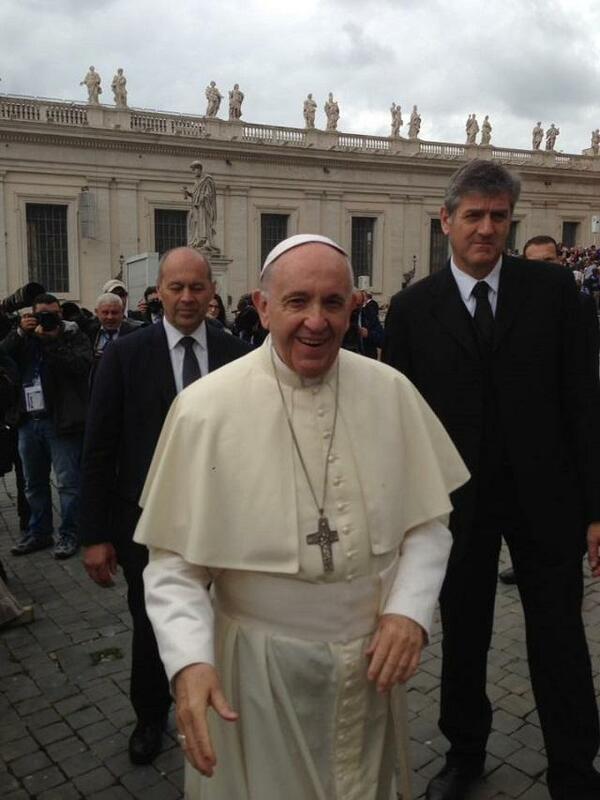 Pope Francis has met with the Ukrainian military on St. Peter's Square in the Vatican City. "On May 23, members of the Armed Forces of Ukraine, the National Guard of Ukraine, the State Border Guard Service of Ukraine, wounded ATO [Anti-Terrorist Operation, also known as the Ukrainian-Russian war in Donbas] soldiers, widows who lost their husbands in the war, cadets and members of the orchestra of Petro Sahaidachny National Army Academy attended the General Papal Audience on St. Peter's Square in the Vatican. 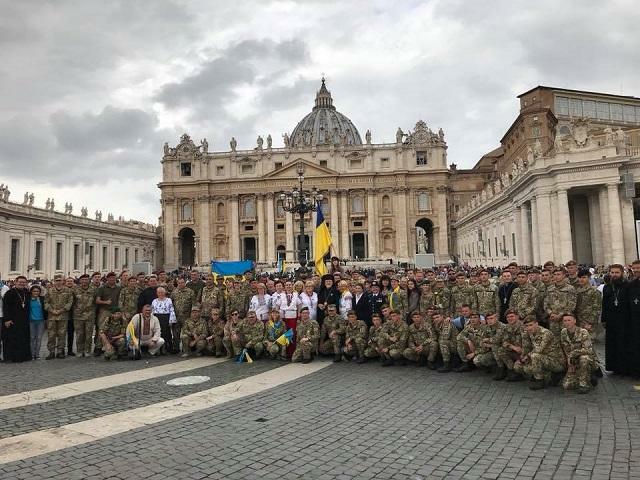 The [Ukrainian] delegation was led by bishop Mykhailo Koltun, the head of the Military Chaplaincy Department of Patriarchal Curia of UGCC [the Ukrainian Greek-Catholic Church]," the Embassy of Ukraine at the Holy See. 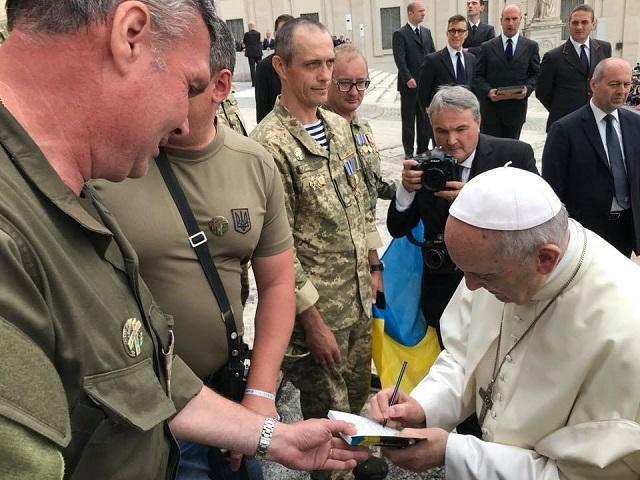 When greeting the Ukrainian soldiers, the Pope said he had tirelessly been praying for the wounds of war to be healed and for peace on Ukraine's land to be restored. 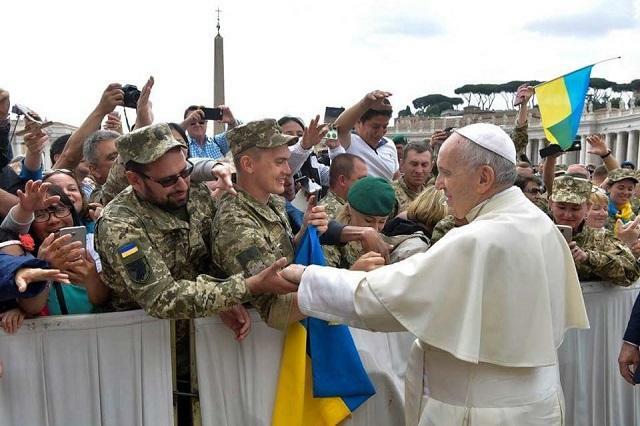 After the official part, the Ukrainian military personally greeted the Pope.